Getting Help for Opioid Misuse, Abuse or Dependence (PDF). Governor’s Office of Youth, Faith and Family. Veteran’s Administration Pain Management site. Standing Order for Naloxone (PDF). 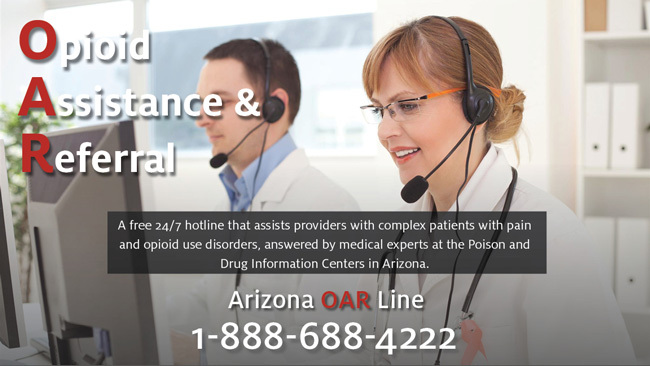 The OAR Line is joint project between the Arizona Department of Health Services, the Arizona Health Care Cost Containment System and the Poison and Drug Information Centers in Arizona.